See also: Do-It-All/Road & Trail tyres and Off-Road Focussed Tyres. 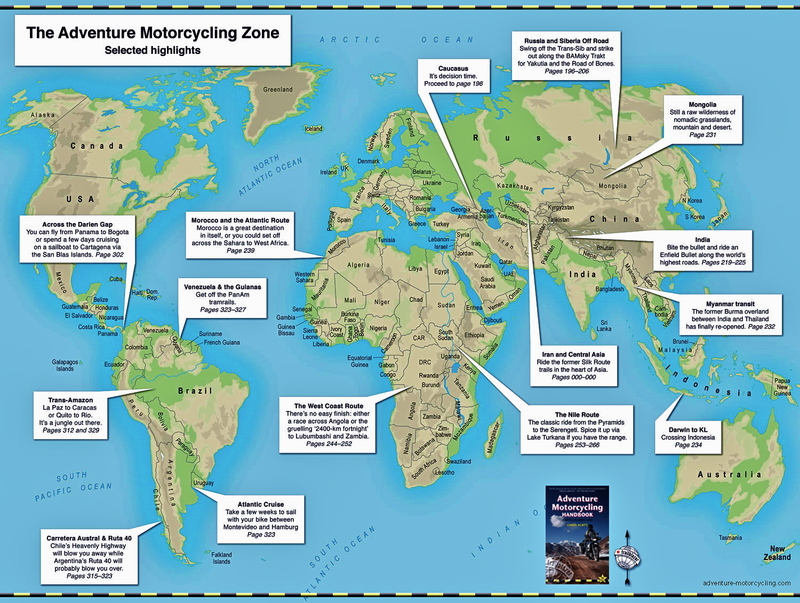 No other item gets prospective adventure riders in such a lather. And quite right too because rain or shine, your tyres are out there on the front line, rolling over whatever surface while supporting 250-500kg and responding to your inputs to speed up, slow down or turn. We ask a lot of our tyres because the consequence of them not performing when it comes to traction, longevity and durability can be serious, and yet choices can often be governed by price and looks – and once on the road, by whatever fits… [excerpt from AMH7]. 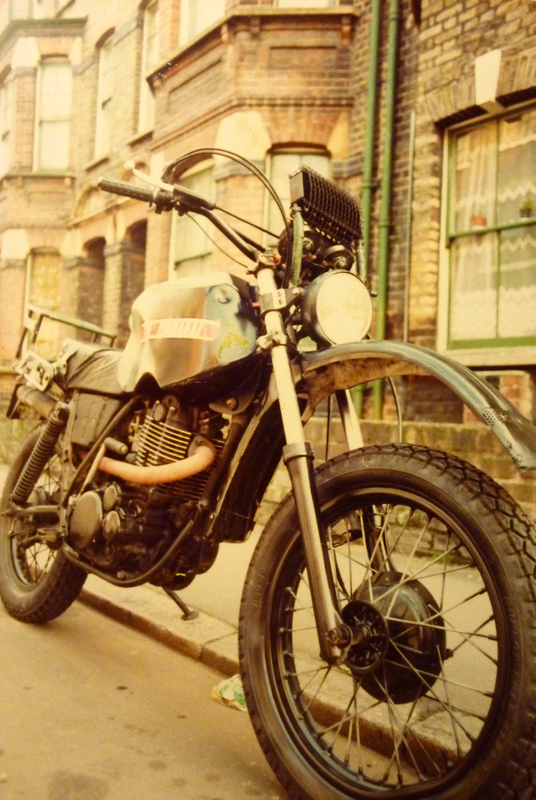 On the left, my ’82 Yamaha XT500 travel bike fitted with Dunlop K70 and Avon Speedmaster road tyres. 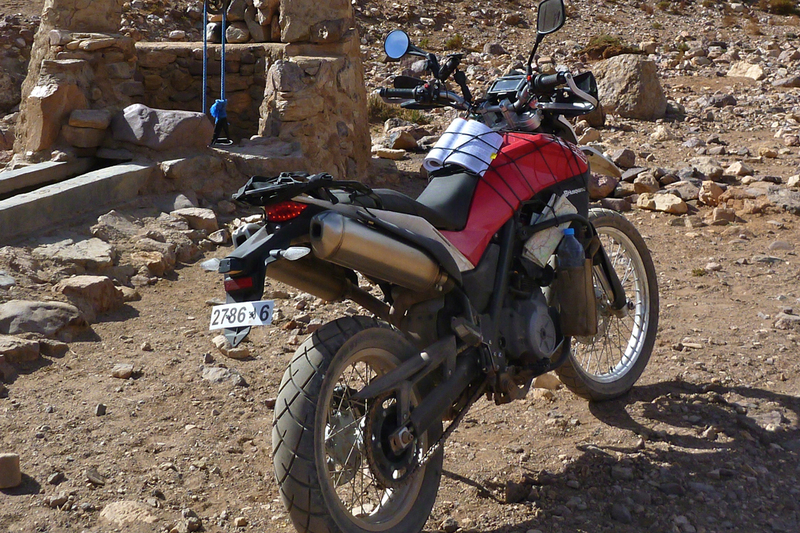 Both are now classed as ‘vintage’ but they got me to the Sahara and back. shared with genuine off-road tyres from the same brand, as well as a token wide and shallow blocky pattern. But on gravel roads, let alone in sand or mud they’ll be no better than an actual road tyre. Some self-designate themselves as 70/30 road/off road. I’d say they’re more like 90/10 at best – in other words just like any regular road tyre. 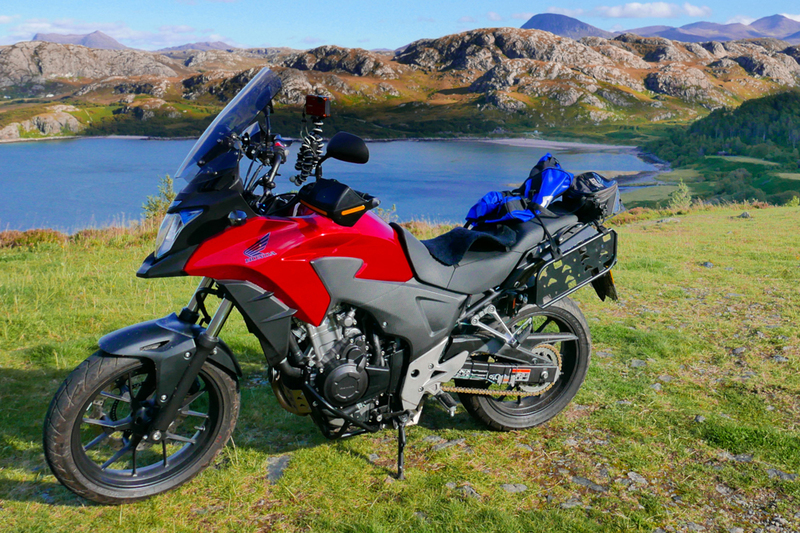 The better-known brands in radial are ideally suited to heavy or powerful bikes sticking to the road (in both senses); they’ll give amazing mileage, run cool and quiet, and grip securely in all conditions. Just don’t be under any illusions that they possess any special attributes off the bitumen just because they have the word ‘trail’ in their names. 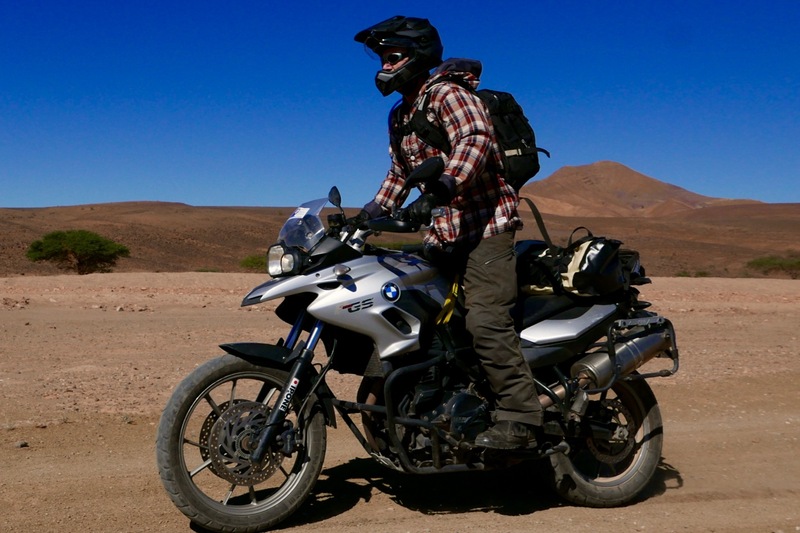 If you’re heading out on a long overland trip into the AM Zone (right) where the travel and transportation infrastructure is less developed, you may want to think about fitting what I call ‘do-it-all’ road and trail tyres. They will last as long, grip nearly as well providing you’re not seeking to get your elbows down, and behave much more predictably on loose surfaces you’re bound to encounter from time to time. 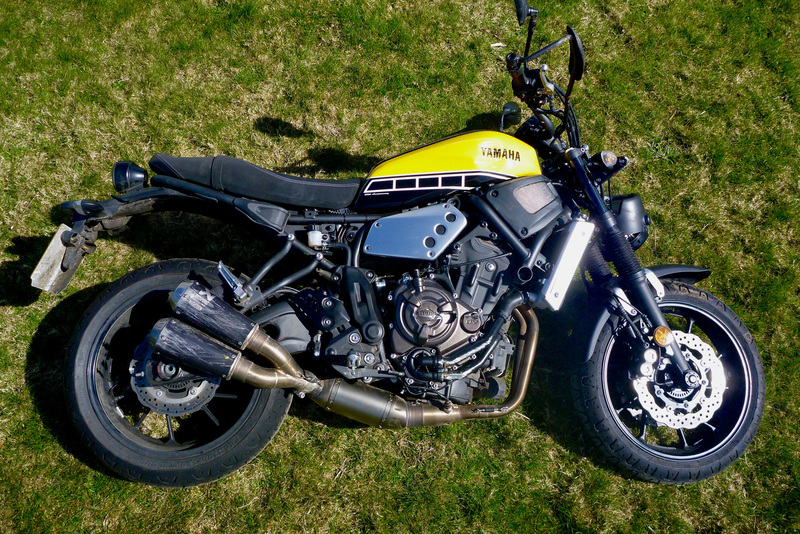 Below: an old F700GS on Anakees. It worked fine on familiar, dry desert tracks providing I took it easy. But on mountain roads commonly sprinkled with gravel or other loose detritus it would roll sideways and slip a little in bends. 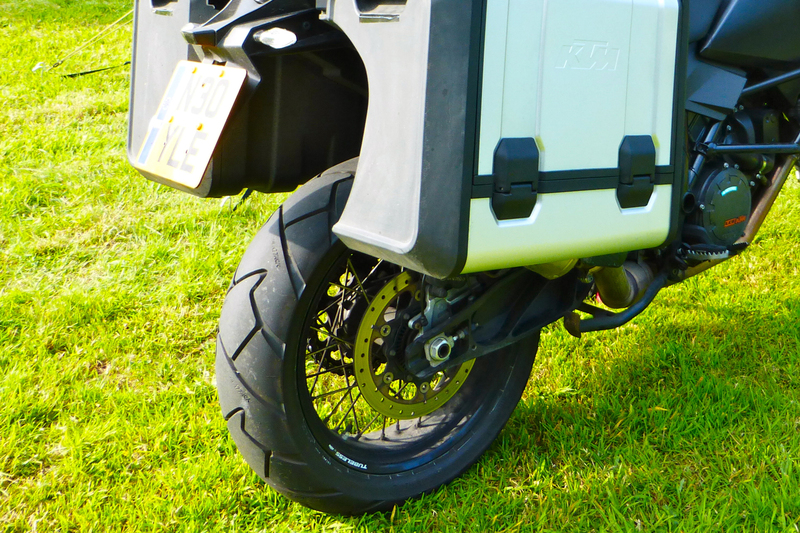 In the same situation a shallow-blocked, wider-gaped ‘do-it-all’ tyre slips less and grips more. 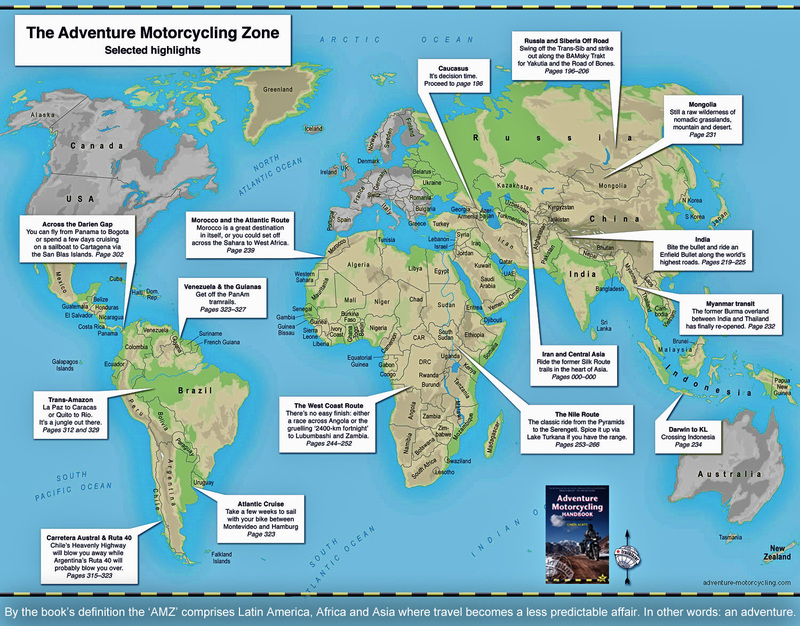 This entry was posted in Adventure Motorcycling Gear Reviews, AMH News, Tyres and tagged Adventure motorcycling road tyres, Avon trailrider, Bridgestone battle wing 502, bridgestone TW152, Conti Trail Attack, Continental TKC70, Dunlop Trailsmart TR91, Heidenau K76, Kenda 761, Metzeler Tourance, Michelin Anakee, Mitas MC30, Pirelli Scorpion Trail. Bookmark the permalink.